A free CDL training can either be good or bad for you depending on the circumstances. For most people who cannot afford to pay for their own training, this is however the best available option since it not only offers a free way to learn but it often leads to their hiring as well. If you think that this free training is the best for you, then you should start looking for this type of training as there are often limited slots available. You may also find that training locations are sometimes not fitted to your needs so you may as well prepare to schedule your activities around it. Free CDL training is offered mostly by trucking companies who are looking for future employees in their business. Hence, when looking for one, it would be a good idea to start by looking for them in trucking businesses in your location. Offers can vary from covering for training only to providing meals and accommodation as well. There are other schools that offer free training but they are often somehow connected with trucking businesses as well. They often offer free assistance in seeking employment with trucking companies that they are affiliated with. The training can either be a stay-in option where you will be given accommodations that are located close to the training headquarters. You may also be provided with meals as well as instruction materials as you progress. Some training programs however do not provide these conveniences and you may have to pay for your own board and lodging. Classes are divided into two – classroom sessions and actual driving. In order for you to achieve the second type, you will be required to apply for a CDL instruction permit and undergo DOT examination. The classroom sessions can last for set number of hours or days depending on the minimum set requirements in the state that you are in but there are also some states which do not impose these standards so they can vary from one situation to another. When you have finished and passed the tests, you will then proceed to the practical part of the training and you will obtain a hands-on experience with handling a commercial vehicle. This is the part where some training facilities are better than others as they provide a one-to-one ratio of trucks to students whereas there are others who only offer students with the chance to “watch” and not actually drive. Free CDL training is often offered in exchange for future work which means that you will be required to work for the company that offered the free training after you graduate. You can find many trucking companies that offer training for free, or to be paid with a promise of future work for their company. This can last from a few months to a few years so may as well be prepared to know what is in store in exchange for this privilege. 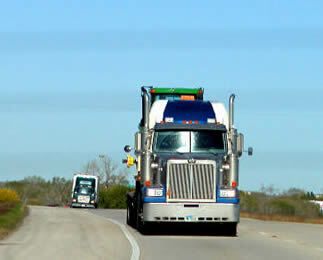 The work can involve short or long-haul trucking which means that you can be away from home for weeks or even months. If you can enjoy being away from home and being alone for extended periods of time, then this just may be the best option for you. – Prime – They have a 40,000 sq. ft facility in Springfield, MO with a truck driving simulator training lab, restaurant, hotel rooms, and work/study stations. – CRST Trucking – This company uses affiliate-partnership schools to provide company-sponsored training. – CR England – Through their partner company, Premier truck driving school they offer jobs for their CDL graduates. – Roehl – Currently employing 1,900 tractors, this company has an active training to job program. – Swift – They operate a training program to get you Class A licensed in as little as 21 days.